Denny Hamlin Fans » Blog Archive » Denny Hamlin finished 20th in Sunday’s NASCAR Sprint Cup Series race at Texas Motor Speedway, Round 8 of the 2011 Chase for the championship. 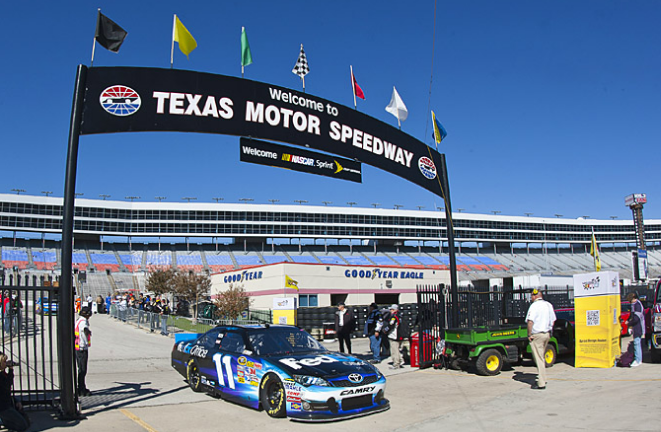 Denny Hamlin finished 20th in Sunday’s NASCAR Sprint Cup Series race at Texas Motor Speedway, Round 8 of the 2011 Chase for the championship. Hamlin battled an ill-handling #11 FedEx Office Toyota Camry throughout the 334-lap, 501-mile event won by Tony Stewart, as a persistent loose condition prohibited the 30-year-old Virginian from defending his race win at the 1.5-mile Fort Worth oval from one year ago. The #11 machine started 28th on Sunday afternoon, but Hamlin immediately felt handling issues at the drop of the green flag. Fighting a loose race car in corner entry and exit, but tight in the center of the corners, Hamlin worked hard throughout the first few green flag runs to maintain pace with the lead group. A variety of changes during pit stops called by crew chief Mike Ford tried to bring the car to life, but fixing one issue seemed to make another worse as the laps clicked. Making matters worse, contact on pit road with Brad Keselowski with less than 75 laps to go dropped Hamlin from the top-15 to the tail end of the lead lap field after repairs on pit road. Varying fuel strategies in the race’s final stages moved Hamlin up to 20th for the checkered flag. 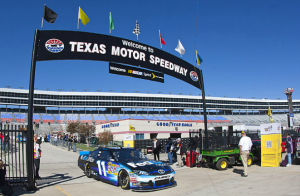 With the finish, Hamlin improved one spot to 10th in the NASCAR point standings following Texas, with two races remaining on the schedule. The Series returns to action at Phoenix International Raceway on November 13.